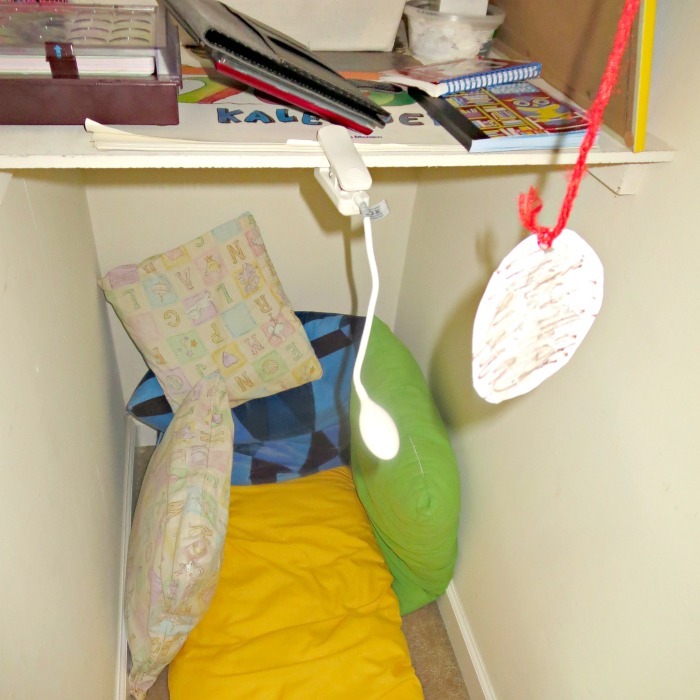 A closet in Smarty's room has an unusual shape - it leads further into a slope of the roof and forms sort of a narrow cave. We kept some boxes there, but cleaned it up lately, and Smarty immediately found a perfect use for this area - she called it a creativity nook. 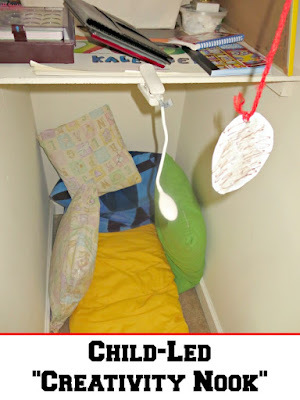 She already had a lot of pillows of various sizes in her room on the lower bunk of her bed and she moved them into a "nook". 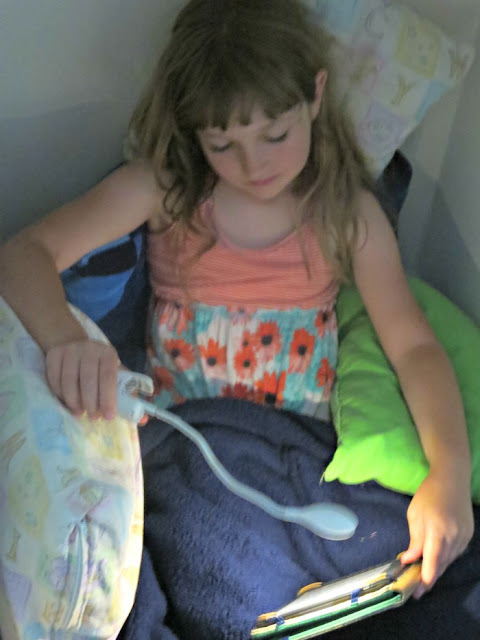 She also took an IKEA clip-on light to be able to read and write in her nook and even drew her own "motivational poster"
Smarty said that she plans to use her nook for creative writing. 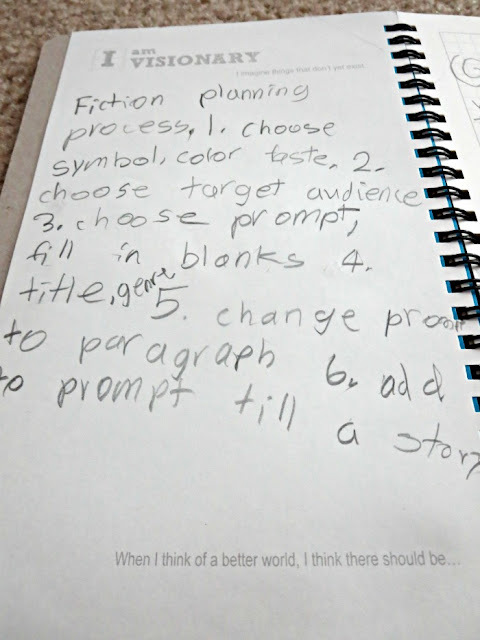 She devised a complex system of writing prompts for herself. I wish I were able to explain them to you, but she lost me about 3 minutes into a story about how she decides on the story to write. Smarty says that she is currently working on a story for beginner readers on what happens if plants could talk, but mostly I am finding her doing this in her nook. I have to admit - it does look cozy! 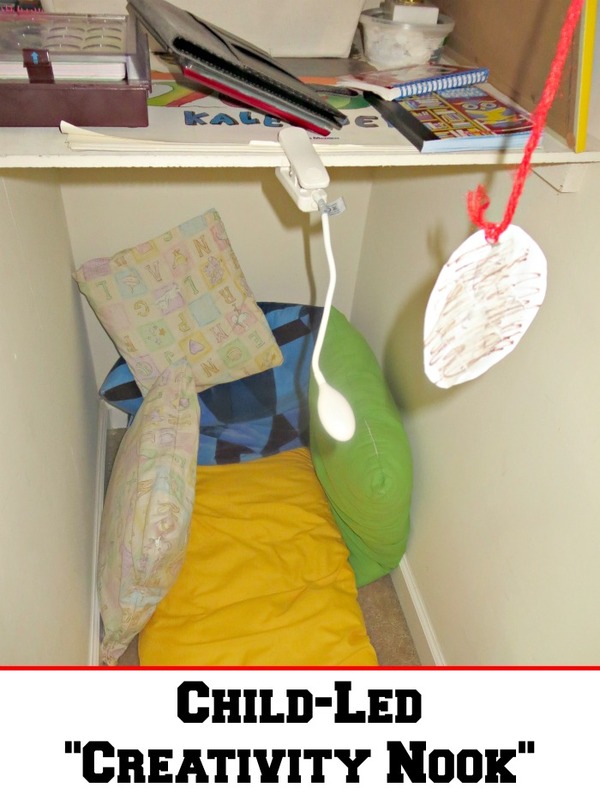 Do your kids have a creativity nook? Smarty's nook sure looks cozy! 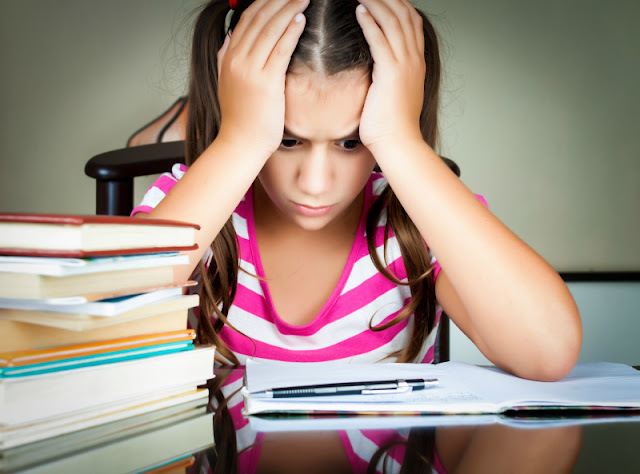 I think it's natural for kids to create their creativity corners or nooks. 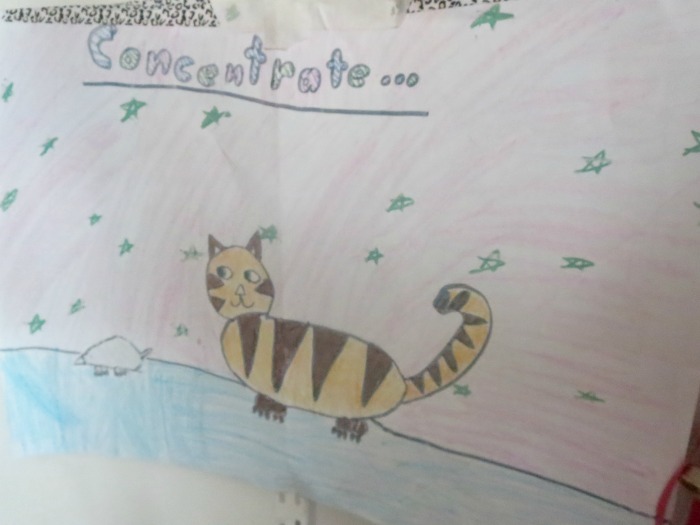 K decorates one part of her room as DIY corner as an inspiration. I love this space that she created! I love it, and would happily be in that nook too!